The propietary Serpentine Heat Exchanger achieves excellent heat exchange efficiency. 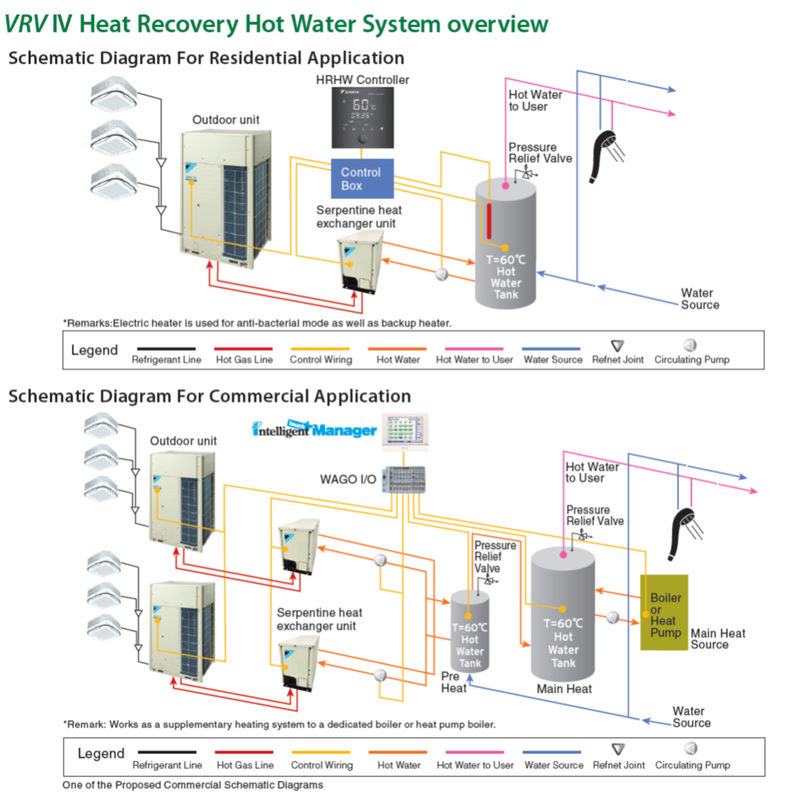 The waste heat from air conditioning is transferrd to heat water. 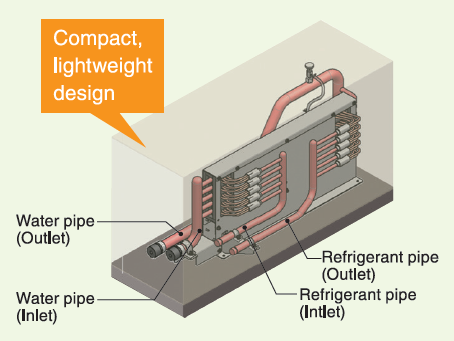 This mechanism reduces the amount of heat processed by the outdoor unit, resulting in better operating efficiency.